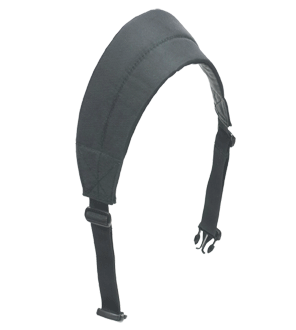 Shoulder strap for any Brightline Bag FLEX System configuration. Comes with all of the Pre-Configured bags (B0, B2, B4, B6, B7, B10, B18). Also ships with FLEX Front Bag. The shoulder strap is adjustable and allows you to carry the different configurations over your shoulder. The Shoulder Strap is curved so that it sits perfectly on your shoulder. It is also padded to make it more comfortable. The shoulder strap can fit any FLEX System bag. This Shoulder Strap only works with the FLEX System version of the BrightLine Bag. It will not clip into any previous (non-FLEX) version of the Bag.